This blog has moved! Click here to go the NEW site and subscribe to the new ad-free version of STEM Friday. The first posts will be sent on Friday, October 19, 2018. 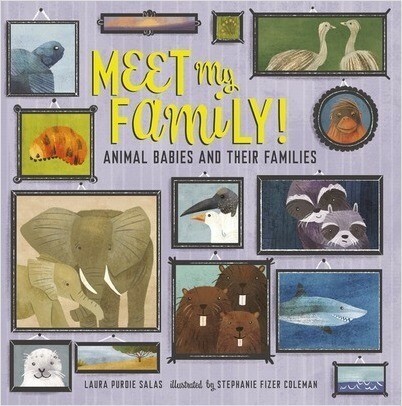 Written from the point of view of animal babies, they introduce us to their families. The tundra swan cygnet lives with both mom and dad, while a raccoon kit has never met its father. What I like love about this book: Large text on each page introduces the animal baby and its family. Smaller text adds detail about where they live (a den or nest), whether they have siblings, and how parents interact with the young. Wolves play, for example, while some frogs give their kids piggyback rides. At the same time, facing pages highlight comparisons and contrasts. A foal is an only child, whereas piglets have lots of brothers and sisters. Beaver kits live in one place through their childhood, while orangutans move to a new nest each night. 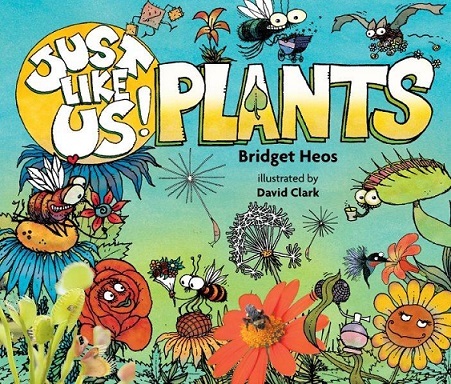 Best of all ~ the large text, read by itself is a long, lyrical poem about animal families. Plus there’s back matter: a glossary of what animal babies are called in their home ranges, and a map showing where the 22 animal families live. And did I mention the awesome illustrations? I love that the cover resembles a family album. Head over to Archimedes Notebook for another review about animal dads, and hands-on activities. 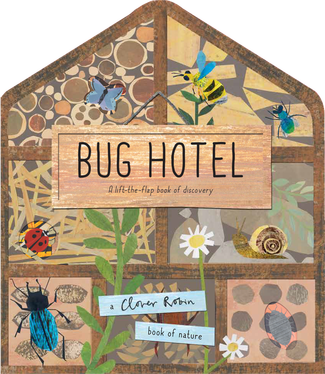 Booktalk: Welcome to the Bug Hotel, a homemade habitat where creepy crawlies of all shapes and sizes can find a place to stay! 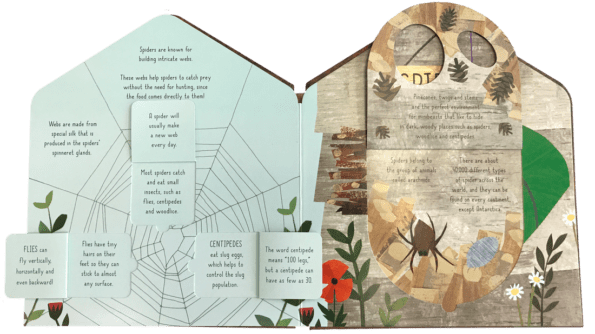 Discover how a bug hotel can create a sustainable, safe environment for insects and minibeasts by exploring each section, lifting the flaps and finding out facts about your favorite garden insects. 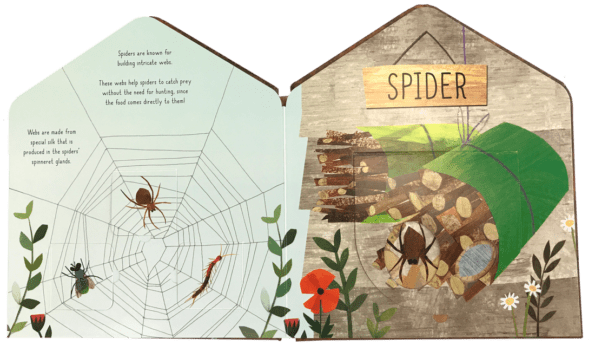 Instructions for building your own bug hotel at the end of the book! 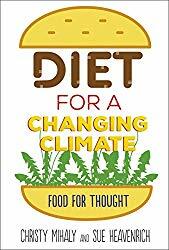 Booktalk: In 1961, President John F. Kennedy announced that the United States would try to land a man on the Moon by the end of the decade. During the two thousand nine hundred and seventy-nine days following his speech, eighteen astronauts climbed into spaceships; three of them died before even leaving the ground. Eight rockets soared into space. And four hundred thousand people?engineers, technicians, scientists, mathematicians, and machinists?joined Project Apollo in hopes of making the dream a reality. 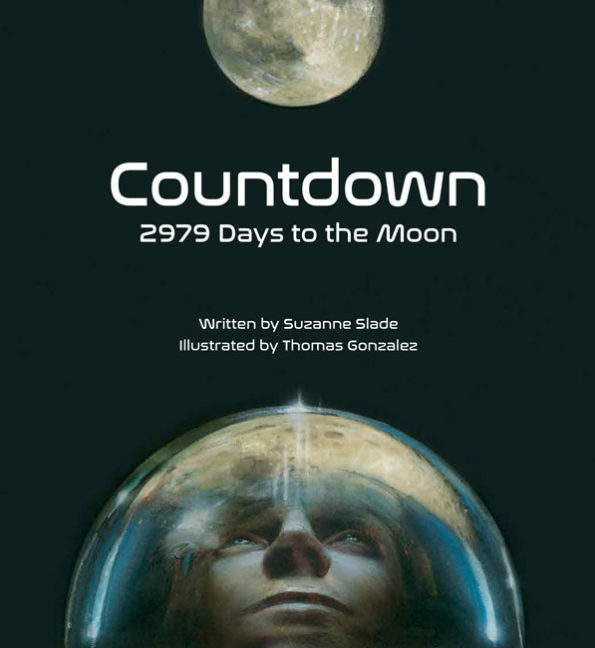 Illustrated free verse tells the true story of the American effort to land the first man on the Moon. that must work flawlessly together. will carry the crew to the Moon and back. will provide electricity, oxygen, and other supplies. will land on the Moon and provide a home there. must launch the entire mission into space.